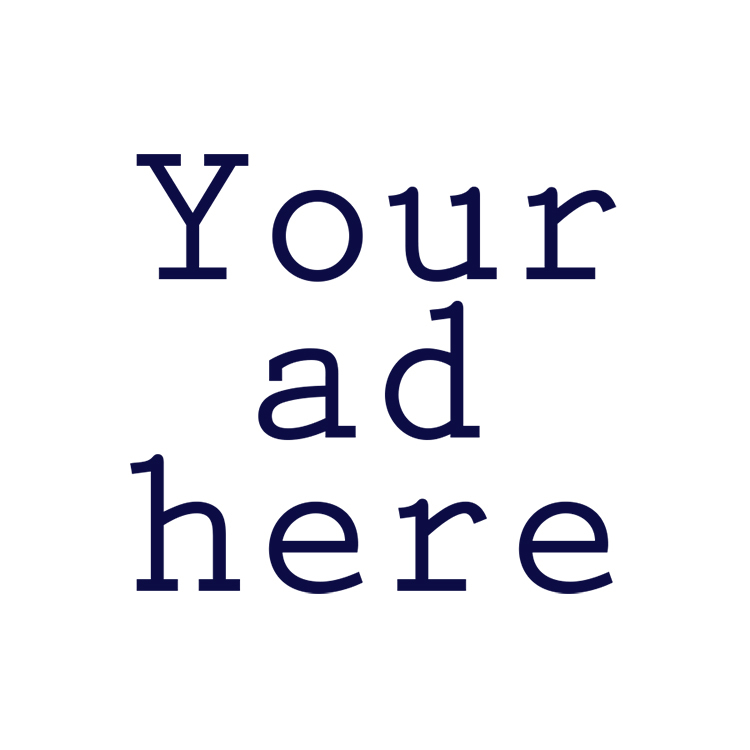 News About Town: ast night, during the Board of Commissioners meeting, the Parks, Recreation & Cultural Resource Advisory Committee made its second recommendation for tourism grants within the Town of Matthews. 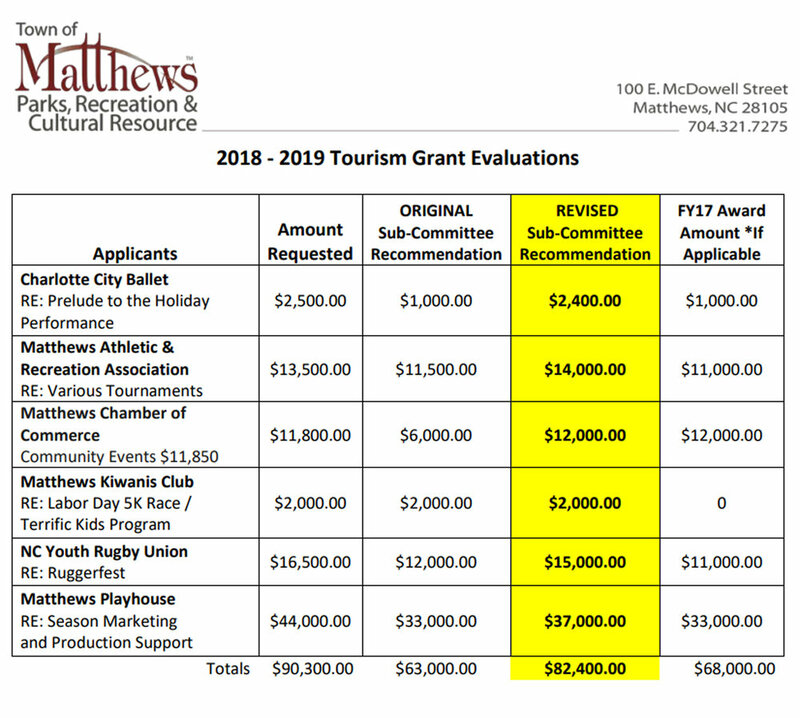 Originally the committee made recommendations to allot $63,000.00 (an arbitrary dollar amount typical of years past) in grants dispersed between six organizations (Charlotte City Ballet, Matthews Athletic & Recreation Association, Matthews Chamber of Commerce, Matthews Kiwanis Club, NC Youth Rugby Union, and Matthews Playhouse). Town Commissioners considered the budget and conceded that a percentage of tourism revenue would make more sense in the grant process. For 2019 onward the finance department estimate 5% of the end of year tourism revenue to calculate the tourism grant budget. Using 5% of the estimated revenue for next year allotted the committee an additional $19,400 for a total budget of $82,400. Bright Blessings is a volunteer-led organization that will impact more than 10,000 homeless and impoverished children this year through its core programs, Bless-A-Birthday, Bless-A-Baby, Gift of Literacy and Gift of Care. Habitat and Wildlife Keepers (HAWK), founded in 2006, as the first chapter of the North Carolina Wildlife Federation (NCWF), is a non-profit organization dedicated to environmental education and conservation. MANA doesn’t go for all of the complicated “vision-mission-values” exercises. Their purpose is simple: to end malnutrition. They do it, they do it ingeniously, and they do it from right here in Matthews. The Matthews Library is easy to forget in terms of being nonprofit, but they are. Their mission is to improve lives and build a stronger community, which is exactly what they do for Matthews. Matthews Playhouse is a 501(c)3 non-profit, community-based, theater organization committed to enriching the lives of children and adults through the world of performing arts.